Tokens of Love. . . It's one of my favorite holidays. Whether we have a significant other or not, there are so many people that we love and that love us!! I think it's important that we remember that! The last few months I have received so much love from my family, friends, neighbors, and blog friends. I have felt the love, thoughts, and prayers from so many of you. So, I wanted to share some tokens of love to say 'thank you'! 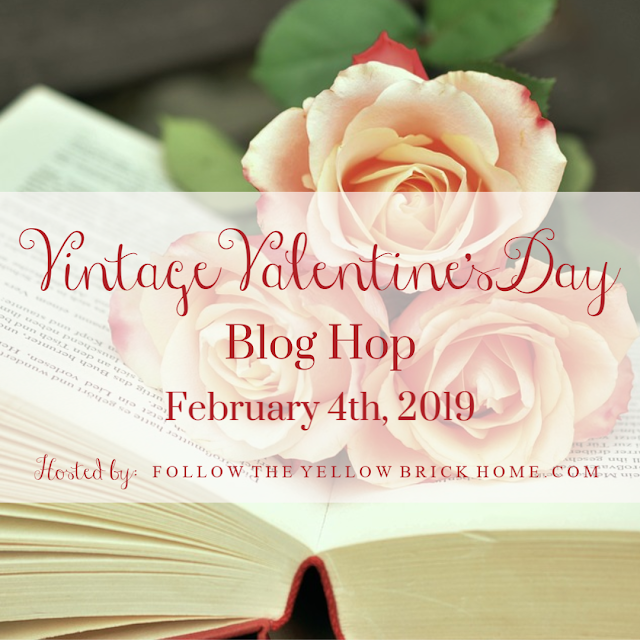 It's perfect timing that Amber from Follow The Yellow Brick Home put together a wonderful Vintage Valentines Day Blog Hop. 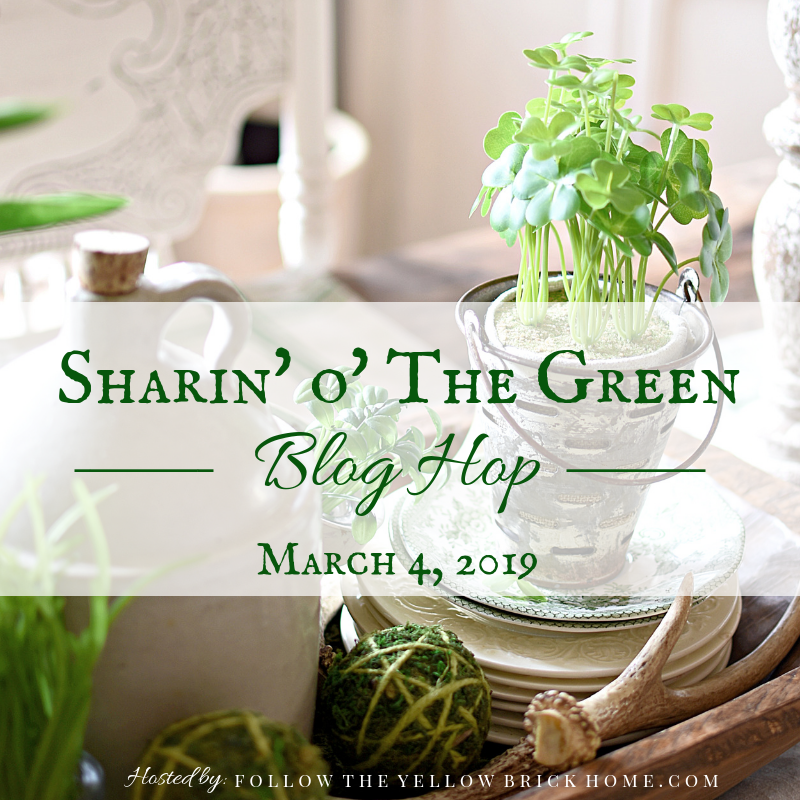 There are lots of talented ladies sharing inspiration in this hop. You will find a link at the bottom of this post that will take you to each one of them. If you are hopping over from Botanic Bleu I know that you have witnessed her talent. I hope you feel the love from the minute you enter our home. An ornament heart wreath I made a few years ago hangs on a door from Décor Steals in our entry. 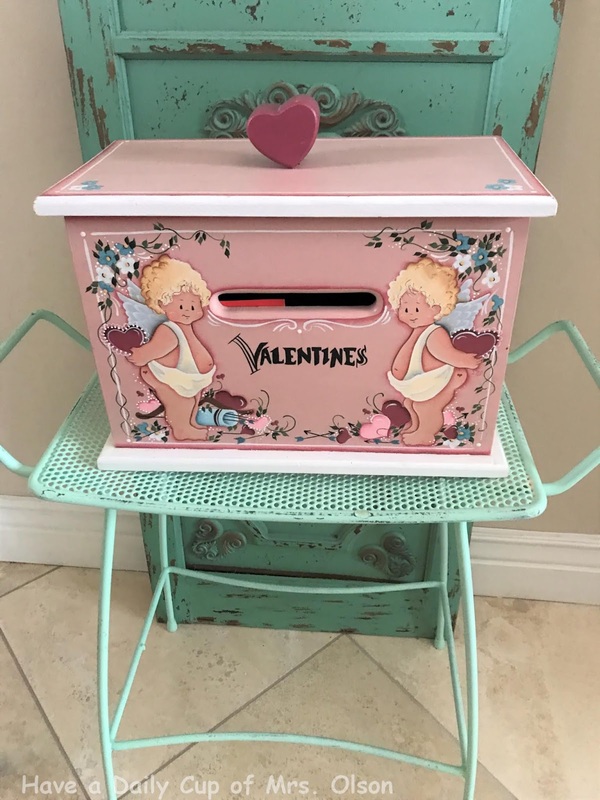 Below it is a wooden Valentines box I painted years ago sitting on a vintage aqua metal stool. I love mixing old with the new! This is a wide view. I have to tell you that I hold a stitching group with friends at my home almost weekly. Really, anymore we just visit and eat. :) But a couple of weeks ago they insisted on pulling out my Valentines Décor. Try as I might, I couldn't get them to give up. So they did all of my decorating except the kitchen. Really, I have the best friends! This chippy cabinet is in the entry as well. They filled my glass jars with candy and tucked in tokens of love. 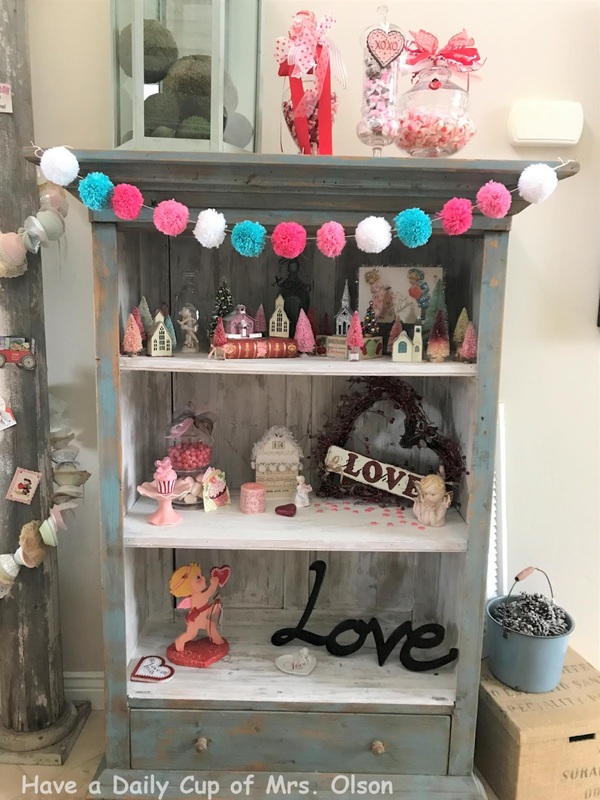 I made the pom pom garland last year. The Valentines village is my favorite. 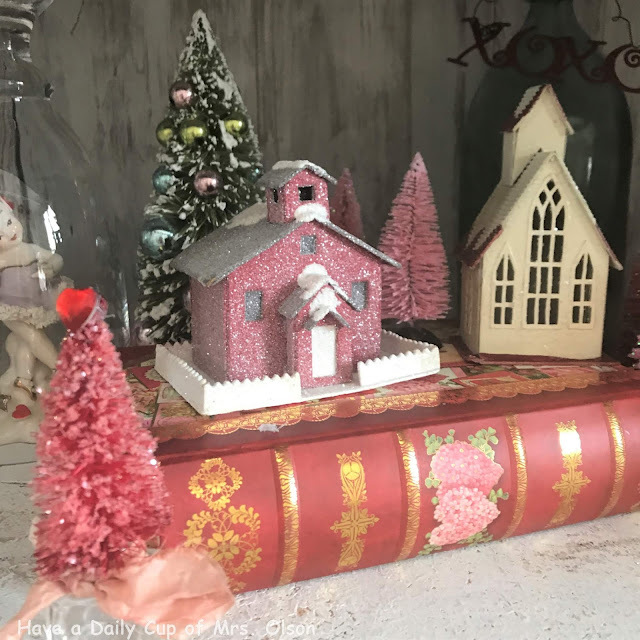 They set it up and I added the bottle brush trees. I love my sweet February girl! Who doesn't love a Valentines cupcake? Now, a few pics of the living room. My sister Julie, friend Dolly, and I made the jewelry hearts last year while helping with Dolly's Aunt Bunnies estate. Little love tokens inside my pink cabinet. A couple years I made a lot of spoolies. They are fun to create! 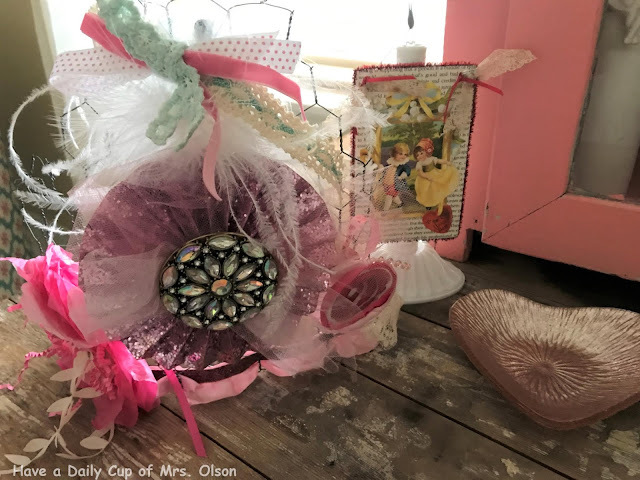 The chicken wire crown is another reminder of how special we all are! As we enter the family room you will see my two latest vintage thrift find treasures sitting atop a Valentines quilt topper. I got this cute old truck from my sister, Dolores a few years ago. It's happy to carry a load of love! My sweet friend, Amanda made the runner for me. The family room mantle is filled with lots of love. . . This post has turned out much longer than I thought. 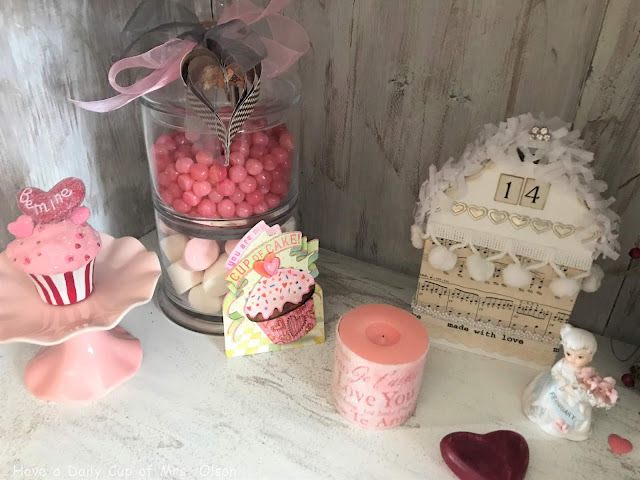 :) So, I decided I will share my Valentines kitchen in another post. 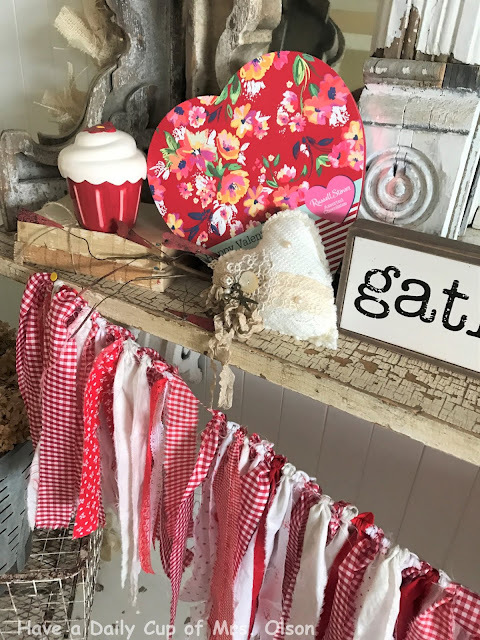 Now, head on over to visit Carol at Art and Sand You will love her sweet cottage decorated with love! I'll leave you with a little love from the boudoir. This is all adorable. You have some great Valentine's Day Collectables. I love that your friends helped you decorate. How sweet. I hope you are well, Jann. I can't wait to see the kitchen. Cute stuff. Thank you for the vintage inspiration and I especially love the pink bottle brush trees which are so cute for Valentine's Day! What a wonderful group of sewing friends to decorate with and for you! 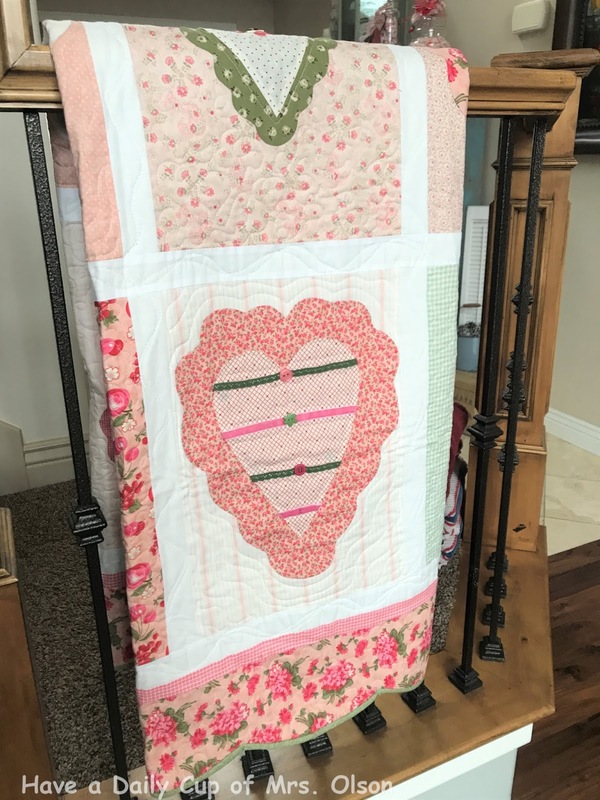 I love your hand appliqued heart quilt. Everything has such a treasured memory attached to it... my favorite kind of things to use in decorating. 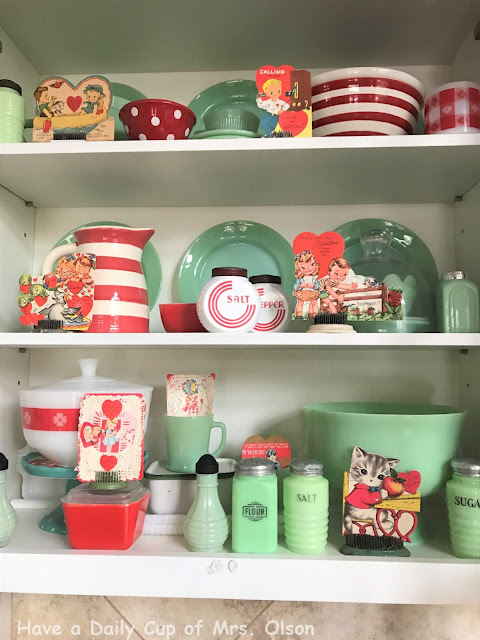 I love that chippy cabinet and all your fun items. It's so special when pieces have meaning to you! Have a great week! 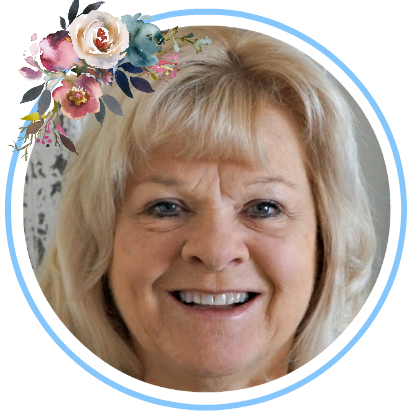 Hi Jann, loving your touches and the heart wreath and the heart you made with vintage jewelry are my favorite pieces. I cannot get over the love shown throughout your lovely home. 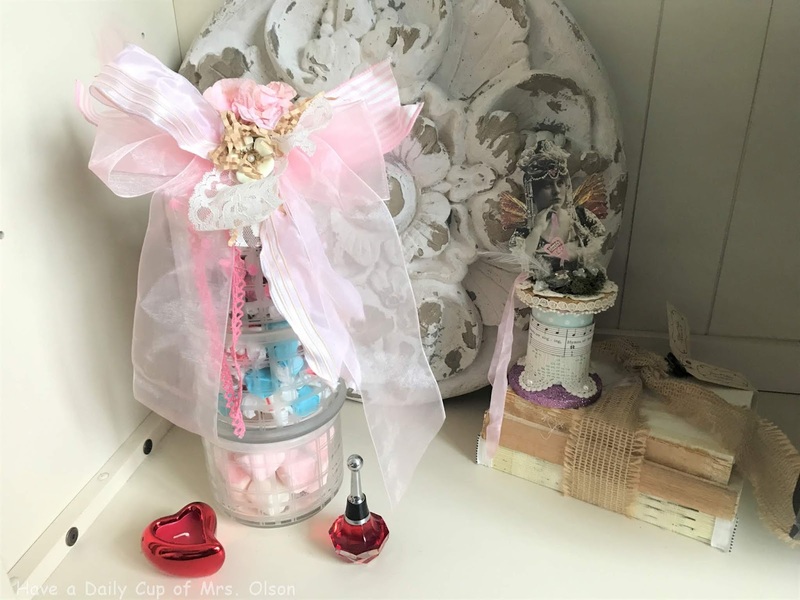 Each vignette is so adorable and that jewelry heart has me drooling! I've wanted to make one for years but cannot seem to find the time. Well No More - I'm doing it. Thank you for all the fantastic inspiration. Glad we could hop together. You are always a ray of sunshine. 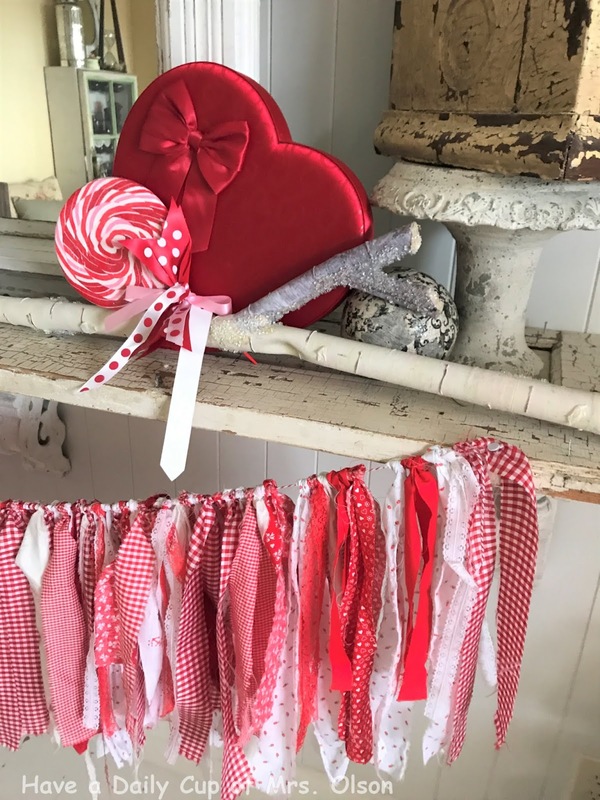 Jann, you could open a Valentine store! Such ute things. 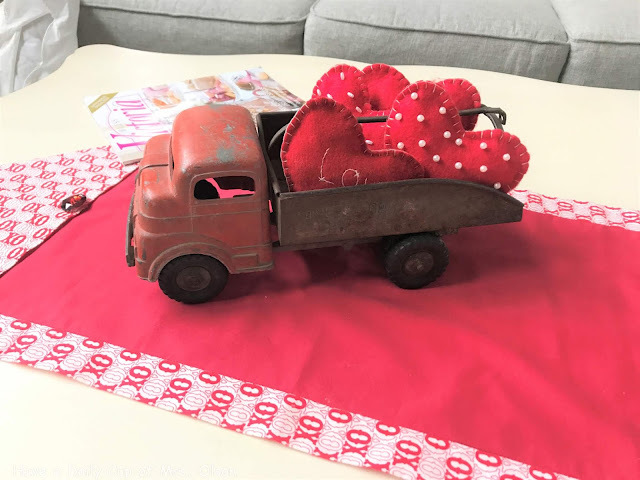 I love the red truck and the banners you made, especially the pom~pom one. I just bought a pom~pom maker and can't wait to try lit out. The red quilt is beautiful. So happy to browse through your home. You have lovely Valentine things. Thank You for sharing. 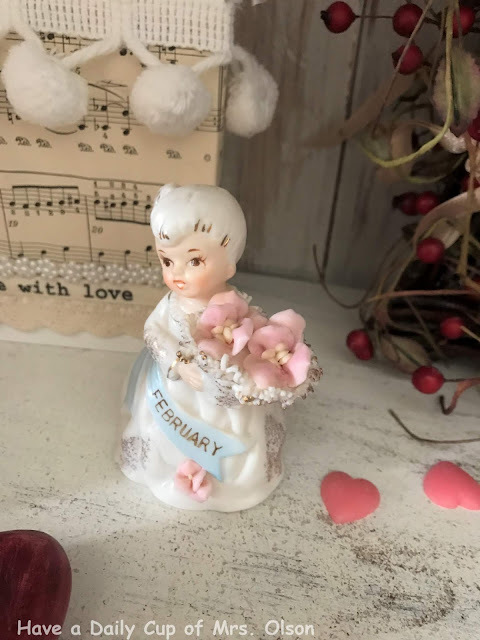 You have such a cheery Valentine decor. Jann...it just makes me smile! 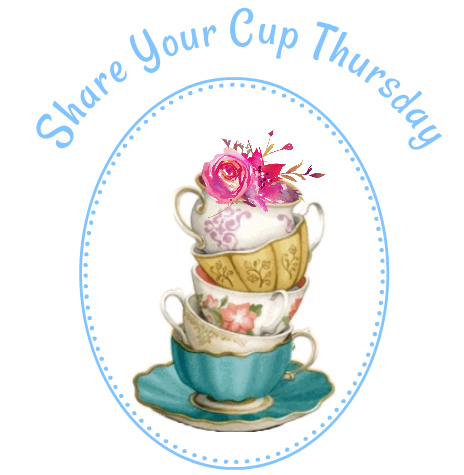 You have such fun goodies and lots of colorful eye candy! It was fun joining the hop with you! 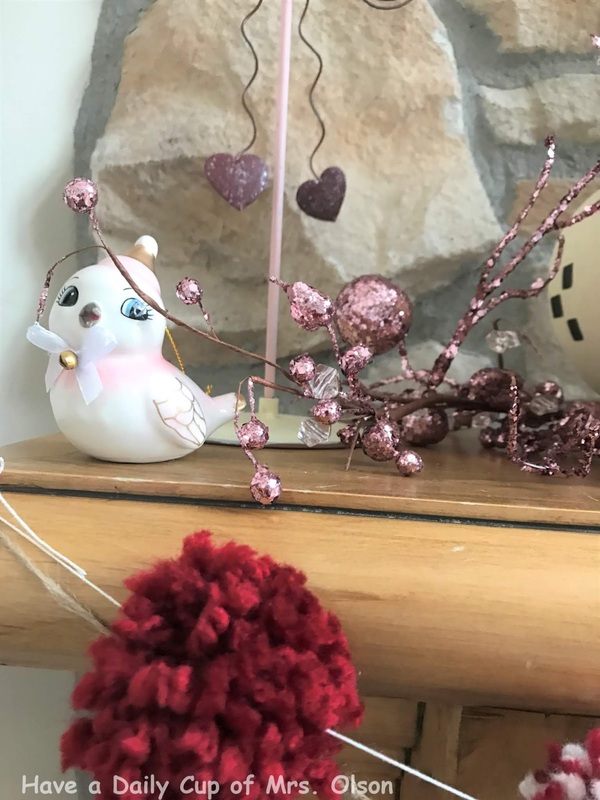 Jann, your Valentine's décor is absolutely adorable. 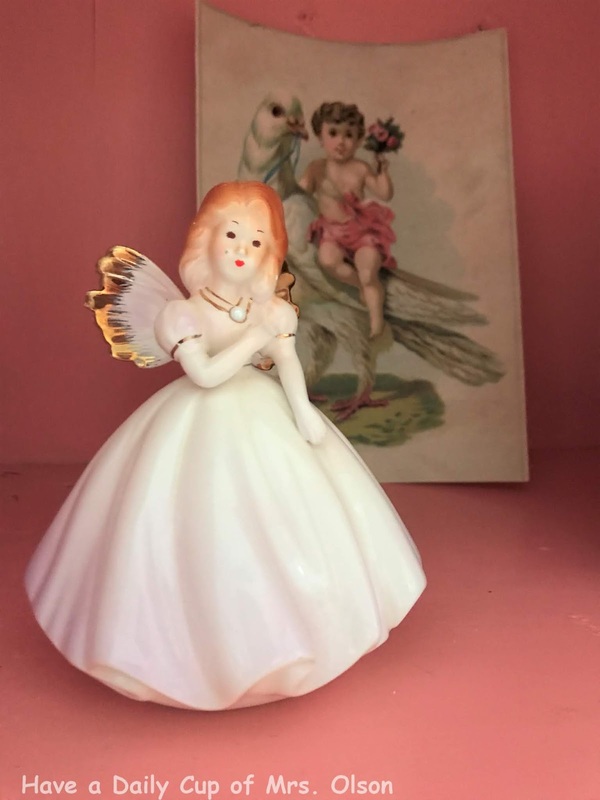 Love all the vintage items and all the happy feelings they inspire. Looking forward to seeing your kitchen! Hope you are feeling well. Thank you so much for your kind comment on my blog. Sure looking like Valentines' Day around your house. Very pretty. So very pretty! 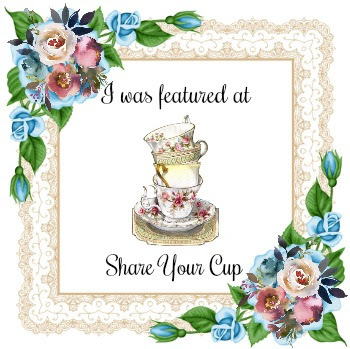 I love all of your vintage goodies. I so remember that chip can!!! Happy Valentine's Day! 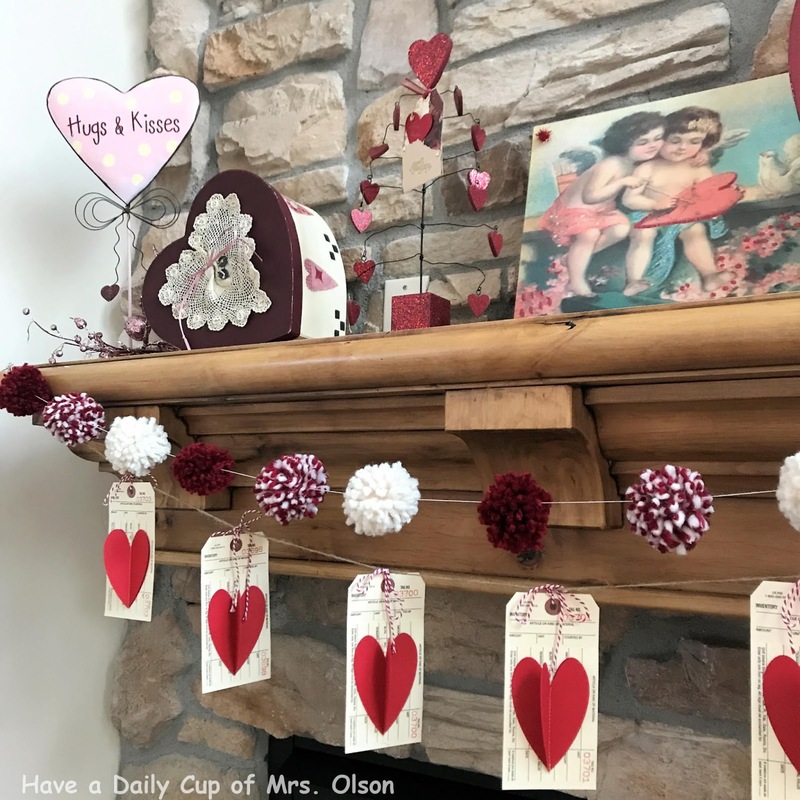 Jann, oh your Valentine's Day decor is delightful! I don't have many things out right now as we are going to be traveling. Thank you for sharing yours! 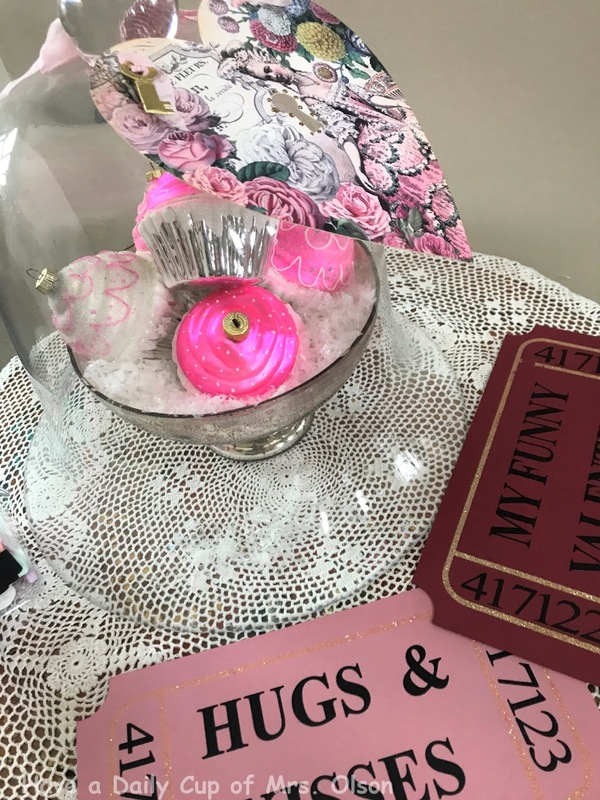 I am blown away by all of these DARLING Valentine's Day decorations, Jann! Your creativity just amazes me...what a talented lady you are! 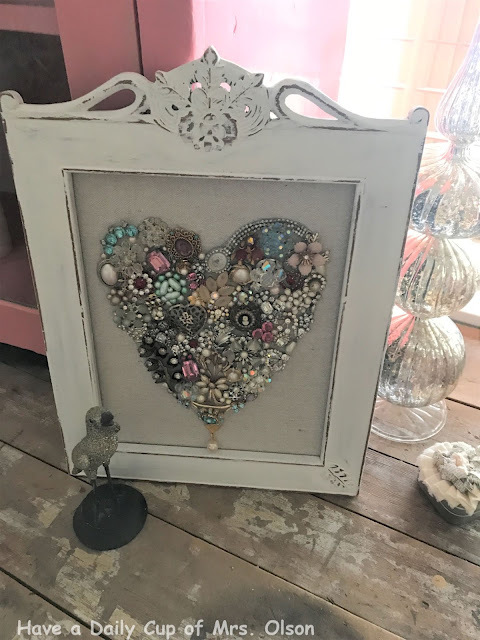 I am especially attracted to the framed heart made from vintage jewelry...oh how gorgeous! And how wonderful that those friends helped you decorate. Thank you for sharing with us! I love it all, Jann. Obviously -- what's NOT to love here! It's all just charming. But my eye is particularly drawn to your ornament heart wreath. 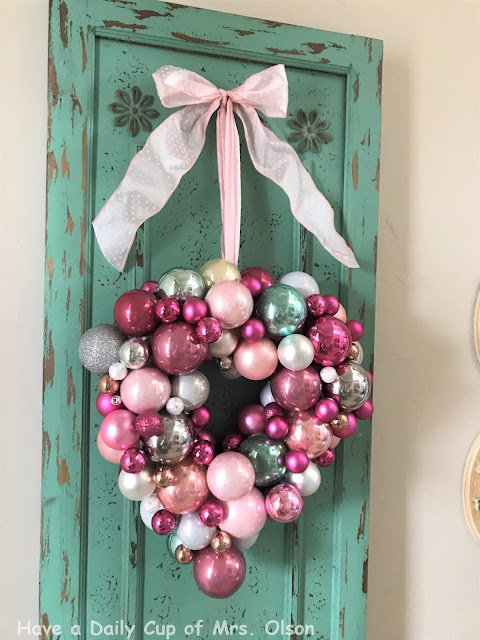 I did a round ornament wreath a few years ago at Christmas but the heart is really special. I know what I'm buying next season on sale -- pinkish balls! And all your vintage valentines -- gorgeous. So glad to see you here! 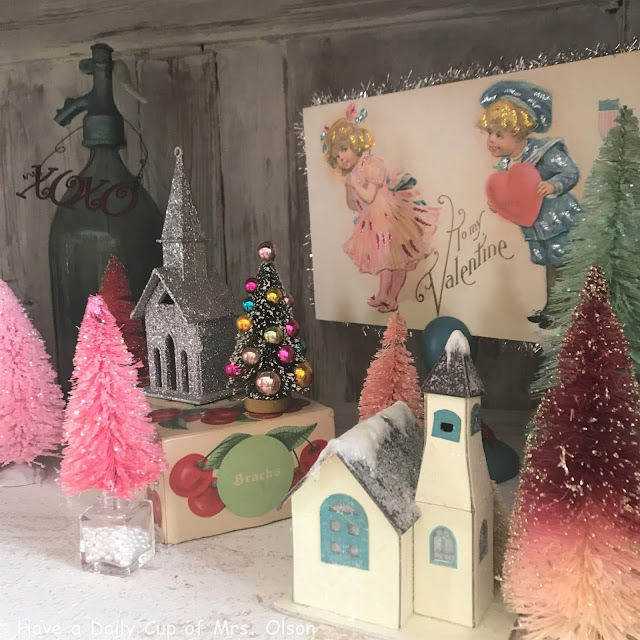 Your home looks so festive, Jann! I love that your sewing group banned together to decorate your home for Valentine's Day. I so much enjoyed looking at all of your special treasures and how you displayed them. 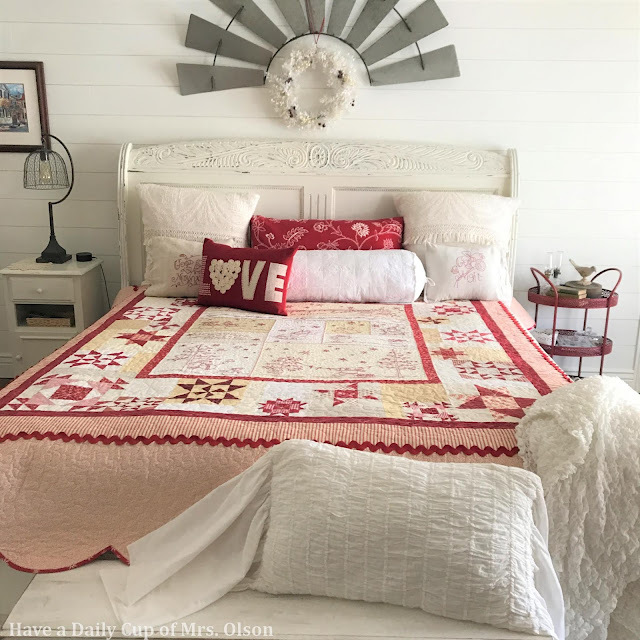 Oh wow, so many pretty vignettes, but that quilt is a show stopper. 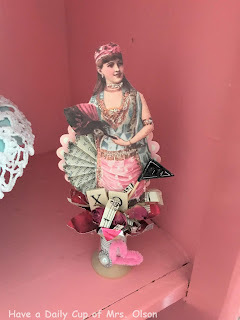 Ok gimme me all the vintage Valentine goodies! Jann you have fabulous collections, valentine treasures and trinkets, and beautiful, creative displays. I will be pinning away so many fun images! Thank you so much for joining this hop. Have a Happy Valenyone's Day! 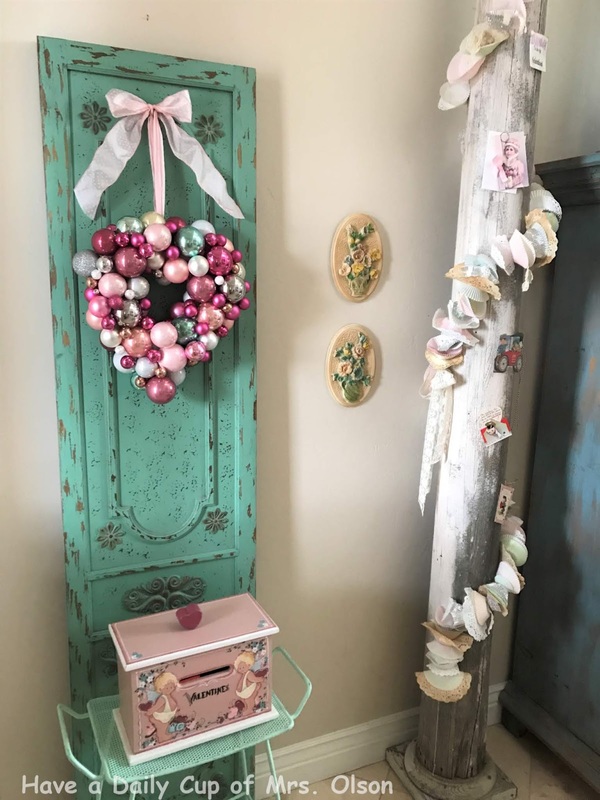 Your home is just beautiful and you are very talented - that heart shaped wreath is just incredible! It really was lovely of your friends to do the decorating for you - their way of showing heir love for you. Enjoy Valentines in your lovely home. That is just so cute that your friends decorated for you. And, you have so much fun stuff. OH WOW! So many great ideas! I am pinning, pinning, pinning! I love Valentine decorations so lots of these will be made for next year! Jann you have some beautiful Valentine decor. I love how you mix the old with the new...I do the same! I loved your peek at your kitchen too! All that jadeite is calling my name! Happy Valentine's Day! 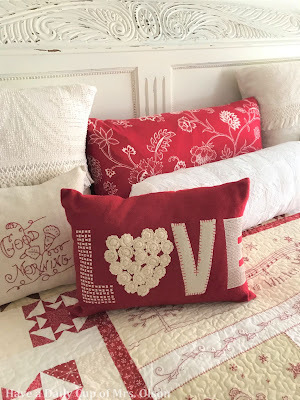 You have such darling Valentine’s Day decor!! I LOVE the heart made from jewelry!! So cute!! 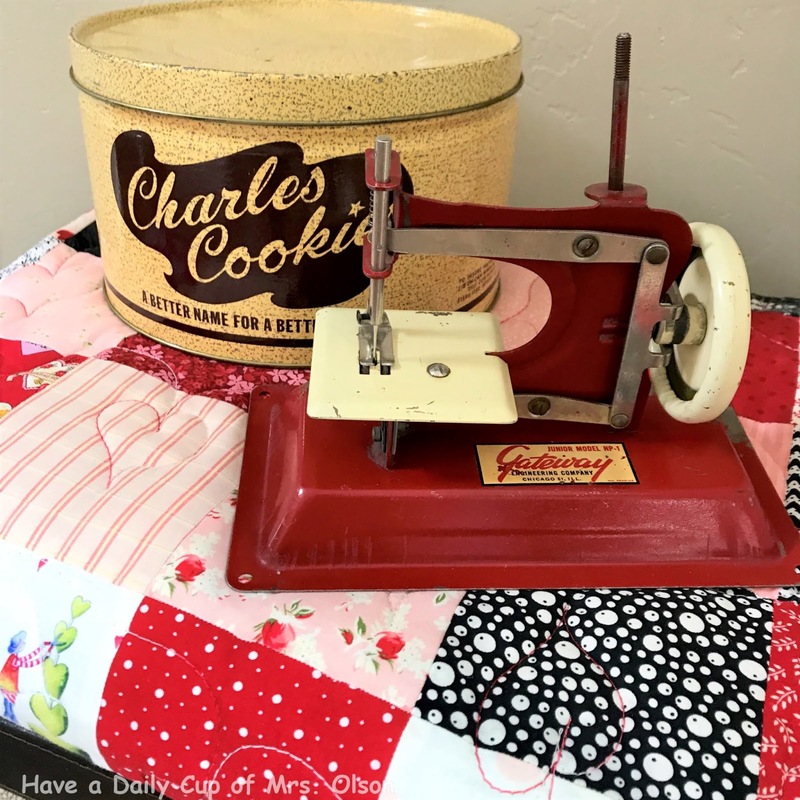 I love your red child's sewing machine and the red truck; and your quilts are so lovely. Your friends gave you the most wonderful Valentine gift, indeed; what sweet ladies! Happy V Day, Jann! 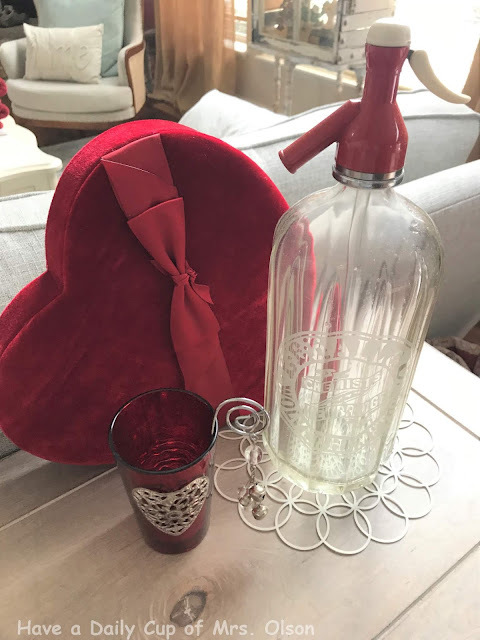 Lovely Valentine's Day decor every where I look! 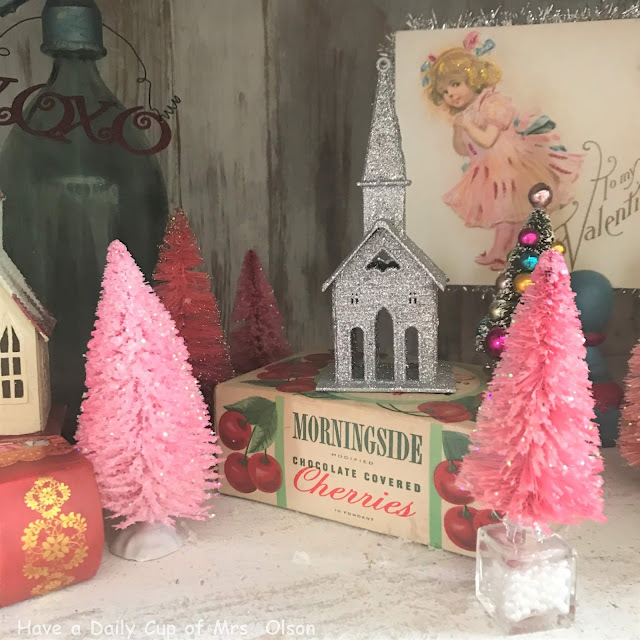 I adore those vintage inspired handmade decorations! Sending you love, hugs and wishes for this Valentine's Day! What wonderful friends you have---and your touches are adorable....Yes, love is all around it we take time to appreciate it! Jann, you are so blessed to have such sweet friends. You have such beautiful treasures, and you are so talented. I am swooning over the heart wreath that you made. 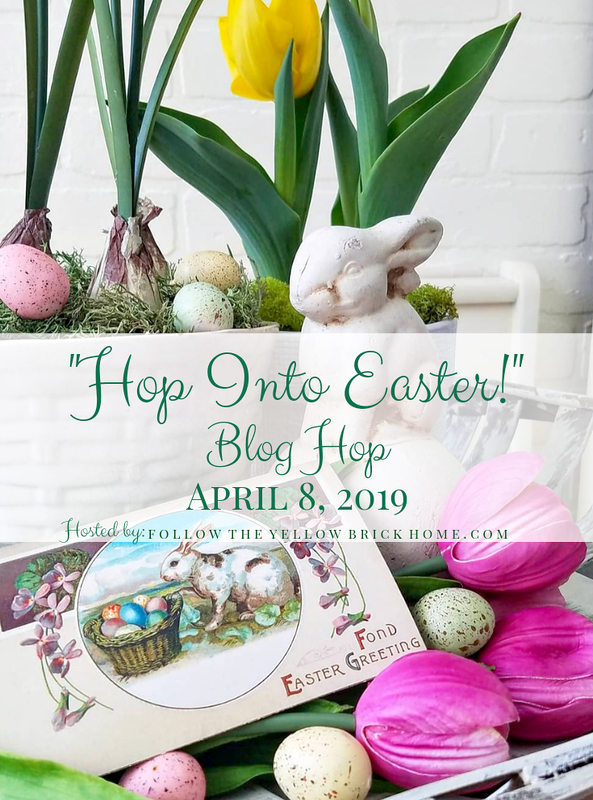 It has been so much fun being on the hop with you! Happy Valentine's Day!!! 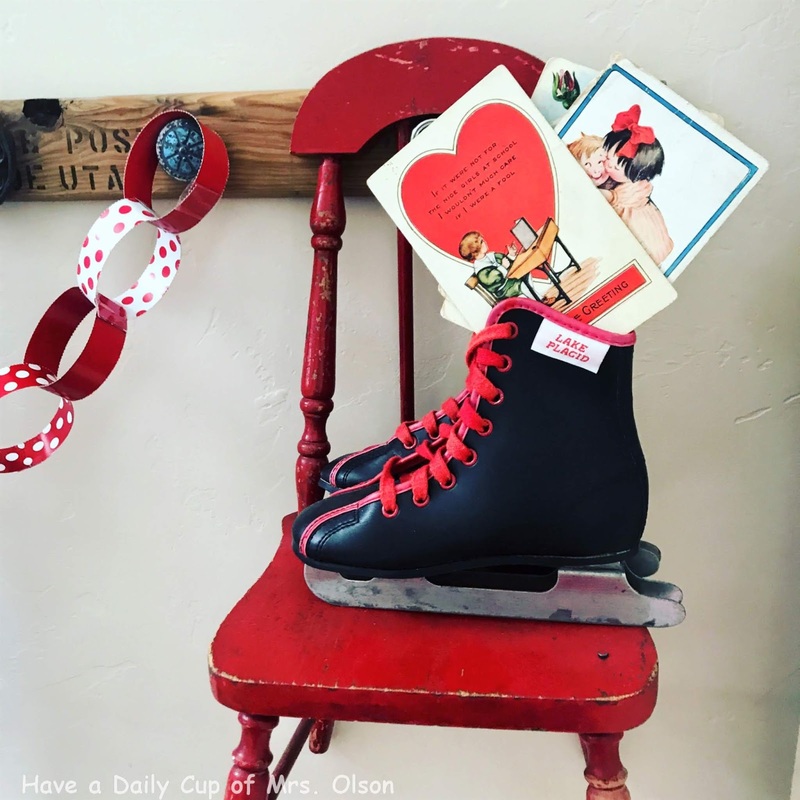 I loved your Valentine’s Day decor Jann! Thanks! You have such a great Valentine's Day collection. Happy Saturday. 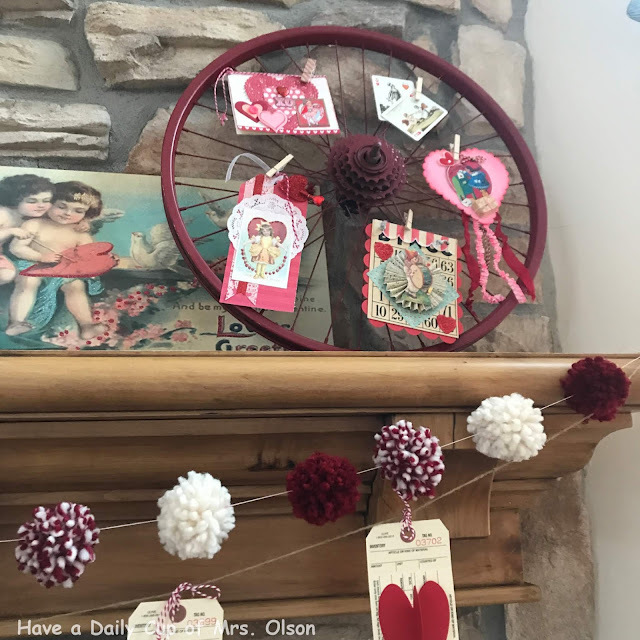 Love all of your special Valentine's Day decorations Jann, this is the first year that I didn't decorate, we have been so busy. I did miss not decorating, so I have now set my sights on Spring decorating. I hope you are doing much better, , I have missed a lot by my absence from blogging. Hi Jann, oh wow you decorated your house so nice for Valentine's Day. I love everything especially the jewelry heart. I hope you have a wonderful week and a Happy Valentine's Day. Oh I love Vintage! Happy Valentines Day Jann. Glad to know youre doing well and happy. Have a great weekend. I miss SYC. Kabar gembira untuk pasangan biduan dan pengusaha yang baru saja menikah di Jepang, Syahrini dan Reino Barack. Mantan kekasih Luna Maya, Reino Barack dan Syahrini akan berbagi kebahagiaannya sesudah menikah untuk khalayak. Sebelumnya, khlayak sangat hendak tahu seputar pernikahan keduanya, tetapi informasi yang didapat masih minim. Kecuali potret dan video yang diberikan oleh akun sosial media gosip, atau dari akun individu mereka namun melulu singkat. Kabar penrikahan pun sedikit dipecah oleh adik dari Syahrani sekaligus managernya, Aisyahrani. pasangan pengantin baru Syahrini dan Reino Barack siap berbagi kebahagiaan dan membalas rasa penasaran masyarakat. Pernikahan Syahrini dan Reino Barack juga sempat terkesan ditutup-tutupi dari masyarakat. Tak melulu terkesan tertutup, pernikahan Syahrini dan Reino Barack pun diiringi kabar tak sedap.